It is common knowledge that braces (once worn and removed) can be a massive confidence booster for the patient in question. The realigning of a person’s teeth may not only improve the patient’s confidence but comes with multiple health benefits, all of which combine to offer a better quality of life. What many people initially struggle with is the thought of having to wear braces for several months or even years. In order for you to fully benefit from braces and achieve the look or smile you’ve always wanted, you’re going to have to overcome these thoughts before you proceed with the procedure. However, once the braces have been applied, the social and physical discomfort you may be feeling can be quickly overcome! 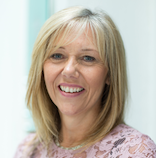 Below is a guide to help you through the before and after braces process, outlining what to expect and the procedure you will undertake. There are a few psychological changes that come with having braces, and learning how to manage them will make the early stages far easier to handle. The struggle between choosing to wear braces and the end result is often a battle between fear and desire. However, what patients need to be reminded is that the smile they’ve always dreamed of will far outweigh the initial discomfort of wearing braces. If you’re one of these people that cannot stand the thought of wearing braces, don’t worry, you’re not alone! Our study on The Mental Benefits of Straight Teeth is a good read for those still apprehensive about the initial braces transition. Although, once your braces are applied, that anxiety is eased and while it will take some getting used to, the hardest part is over. Below, we will discuss the journey you will undertake. 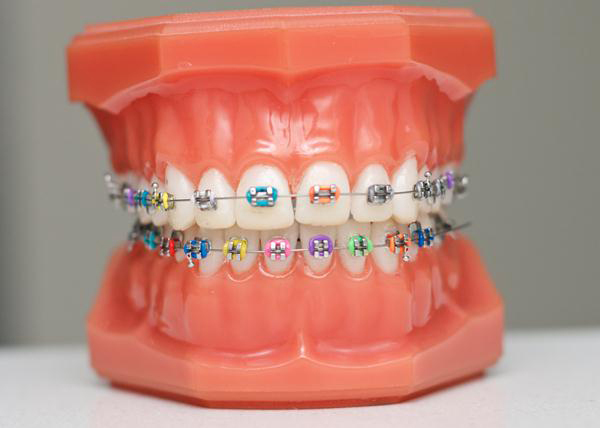 Your first encounter with braces might seem intimidating, restricting and slightly uncomfortable. This is entirely natural. The ‘before’ process is obviously the most trialling part of your journey, just keep thinking of that amazing smile and healthy mouth at the end! The process itself usually takes between 1-2 hours (depending on the patient, some may take slightly longer). This includes teeth cleaning, the attachment of the braces, wiring, placing the brackets and the aftercare cleaning instructions. The first step towards fitting your braces starts with your orthodontist cleaning and drying your teeth. This is so orthodontic bonding can take place. Once the bonding glue has been applied (which is completely harmless), your orthodontist will brush it on the back of the brackets, which will then be individually placed on each tooth. The bonding process takes approximately 10-20 minutes and is completely pain-free. Once the glue has hardened, your orthodontist will attach the archwire into your brackets and secure everything in place using elastics. This is where you may feel your braces pushing on your teeth – but don’t worry, this is normal! This means the braces are doing their job. However, if the pain becomes too much and doesn’t settle, do consult your orthodontist, as your braces may simply need readjusting. Once this has been completed, you will then be given instructions on how to maintain your braces. After that, you’re all set! You will be told during one of your later check-ups when your braces should be coming off, this is usually during your next visit to the clinic. However, this can change, in that your teeth may move unexpectedly, speeding up the process, or they may take slightly longer to move into the desired formation. It is also worth noting that the removal process may differ slightly depending on the type of braces you have. You can find more information about our bespoke brace options on our treatments page. No. you may feel a small amount of pressure while the braces are being removed but this is not meant to be painful. You will be given a retainer, however, and this may take some getting used to, especially in the early stages. The usual process will see your orthodontist check the tracks and position of your teeth during each visit and at the same time, assess your progress. Your orthodontist will use pliers to remove the brackets and while this sounds daunting, there is no need to worry! The process is swift and pain-free. Your teeth will be scraped and cleaned of any remaining glue and a mould will be made of your teeth for your new retainer. It’s important to follow your orthodontist’s instructions once your braces have been removed. Generally, you will be advised to avoid any bleaching or whitening treatment, as you will need to allow the exposed enamel time to become less sensitive. Additionally, your teeth and gums will be sensitive after your braces have been removed. Again, this is natural. Do not attempt to eat particularly hard or crunchy food, or any food your orthodontist told you to avoid when you were wearing braces. It is safer to ease yourself back into your previous food plan or diet. Ensure you effectively clean your teeth, now more than ever, because you will have naturally missed cleaning areas of your mouth that were previously unreachable. Once your braces are off, it’s important that you remember to wear your retainer. Naturally, you will want to show off your new teeth and will be happy to be rid of your braces but it’s imperative you wear your retainer, as your teeth will still be adjusting to their new position. Depending on what your orthodontist provides you with, your retainer will either be removable, or fixed in a discrete, unseen position in your mouth. Caring for your retainer is very simple. All you need to do is clean it with fluoride toothpaste, just as you would with your teeth! While many might assume the application process for braces will differ between child and adult, there are no real distinct differences. Children rarely develop perfectly straight teeth naturally and it’s strongly advised that they see a dentist if they do experience any discomfort early on. Children’s teeth are far more susceptible to changes simply due to their erratic growth rate. An orthodontic consultation is strongly advised as soon as your child’s adult teeth have come through. This is simply to assess their general oral health and make sure their teeth are falling into a healthy formation. 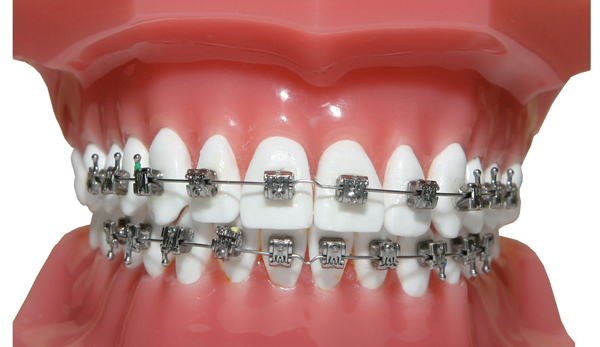 If your child does need braces, the process is fairly straightforward. If you’d like to have an informal talk with one of our staff, do feel free to contact us here. First, your orthodontist will take align impressions of your child’s teeth. This is so that an accurate mould of their mouth can be taken. This is a quick and easy process that only takes a few hours. Your orthodontist will only use these moulds for treatment assessment purposes. After orthodontic treatment, the teeth tend to shift back to where they were before braces were ever worn. Because of this, orthodontists recommend that your child wear a retainer every night for several years after the appliances are removed and then several times a week for the rest of their life to maintain results. Getting your braces off is definitely the most exciting part of the entire experience. By listening to your orthodontist’s advice and following their instructions exactly, you can protect your investment and maintain that perfect smile for life. Here at Splash Orthodontics, our staff will be happy to assist you in anyway. If you’d like to arrange a consultation, you can get in touch via our contact form, or call us on 01273 203514.